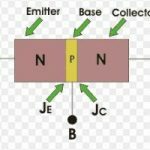 Home / Electrical Articles / What is BJT (Bipolar junction transistor)? 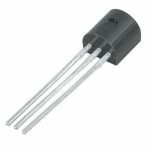 BJT (Bipolar junction transistor) is also called as transistor. Its amplify the weak signal. 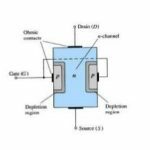 Basically the bipolar junction transistor is a semiconductor device it constructed with three doped semiconductor regions i.e. base, emitter and collector. The current conduction takes place due to both electrons and holes in case of BJT. There are two types of BJT. In NPN transistor the current is conducted by the electrons as majority charge carriers as well as holes are minority charge carriers. The holes have positive charge and electrons have negative charge. 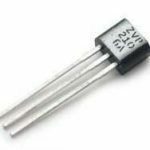 The NPN transistor consist two n type semiconductor materials which are separated by thin layer of p type semiconductor. The NPN transistor has three terminal Emitter, Base and Collector. It has two PN junction namely Base to Emitter (B-E) junction and Collector to Base (C-B) junction. The NPN bipolar junction transistor is mostly used because the mobility of electrons is higher than the mobility of holes. In PNP transistor the current is conducted by holes as majority charges carriers as well as electrons are minority charges carriers. 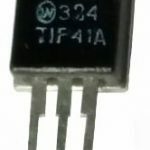 The PNP transistor consist two p type semiconductor materials which are separated by thin layer of n type semiconductor. The PNP transistor has three terminal Emitter, Base and Collector. It has two PN junctions namely Base to Emitter (B-E) junction and Collector to Base (C-B) junction.